Dario (Jean-Louis Trintignant, The Conformist) is a university professor who appears to be leading a quiet life – he spends plenty of time on his papers, he attempts to be a good husband, he barely pays attention to the ongoing political crisis Italy suffers. Dario's son Emilio (Fausto Rossi) rarely confronts his father. He is fascinated by the favorable image Dario enjoys amongst his students and from time to time sneaks into his classroom to listen his father reading poetry in French. Emilio also enjoys his father's friends, especially the beautiful Giulia (Laura Morante, Avenue Montaigne) whose passion for politics he finds intriguing. But when a terrorist act linked to the Red Brigades leaves one of Dario's close friends dead Emilio becomes suspicious. A masterful psychological study investigating two profoundly different characters Gianni Amelio's Colpire Al Cuore a.k.a Blow to the Heart (1983) is one of the Italian director's least seen in North America films. Set during a turbulent for the Italian state time (the early 80s) the picture delves deep into a seemingly steady father-son relationship revealing a powerful conflict with a tragic finale. Blow to the Heart certainly has plenty of thematic similarities with what Italian directors from the era found worthy of discussing in their films: politics, morality, humanism, etc. Amelio's fascination with human psychology however provides a different aura to his work, a sense of intimacy which made his films stand out from the rest. Furthermore, even though his protagonists are often similar to those seen in the films of Olmi and Bertolucci they tend to undergo greater emotional transformations and more often than not suffer because of their beliefs. In his feature debut Amelio uses a powerful political act to enhance the rising conflict between a father and his son as they struggle to adhere to their moral credos. Yet, Blow to the Heart isn't a political film. It is a story about morality and maturation which surprisingly reverses the roles Dario and Emilo are initially given. The result is a fascinating portrait of a family where politics instigate a disastrous vortex of emotions. The performances by Jean-Louis Trintignant and Fausto Rossi (shockingly this is Rossi's only attempt at acting) are of the highest caliber providing the picture with a rare sense of finesse. The protagonists they play are believable leaving little to the viewer to be dissatisfied with. Yet, the greatest surprise here is a cameo performance by (very young) Laura Morante – both subtle and revealing at the same time. In 1983 Colpire al Cuore won the prestigious David di Donatello Award for Best New Actor (Fausto Rossi). During the same year the picture won Best New Actor and Best Story Awards granted annually by the Italian National Syndicate of Film Journalists. Presented in its original aspect ratio of 1.66:1 and enhanced for widescreen TVs the film looks exceptional. Great color reproduction, remarkable contrast, and a stunning restoration of the print used by RHV-Italia is what we have here. I've said it on a number of occasions and I sure won't tire repeating it: RHV are a great company!! Their treatment of Bertolucci's Before the Revolution was exceptional and this presentation is just as impressive. Blown-through a digital projector the image remains steady, without any noticeable breakdowns, simply one outstanding effort! I believe this is all I need to say in this paragraph, it is that simple!! PAL-encoded, Region 2. The original Italian mono track has been beautifully restored and dialog is very easy to follow. As you probably guessed Jean-Louis Trintignant is dubbed in Italian (he speaks his lines in French) but the process is very well done. I could not detect any disturbing audio imperfections – there are no audio-dropouts or hissing(s) to report. Optional English and Italian subtitles are provided in a decent white font. In addition to a lavish 32-page booklet (in Italian only) with an abundance of articles and photos pertaining to the film the disc also offers the following extras: the original Italian theatrical trailer; an interview with Laura Morante (subtitled in English) in which she talks with Amelio about the abandoned plans of producing a sequel to the film mirroring Faust's story (this is an enormously revealing piece as Morante and Amelio recall plenty of details from the filming of this project, the manner in which the story was constructed, as well as the reception the film received); a fascinating interview with Fausto Rossi (also subtitled in English) in which Amelio talks to the one-time actor about his decision to abandon cinema (certainly a remarkable recollection of memories highlighting the decision of a man who at the time had a the road to success practically mapped out); a gallery of stills; and finally the entire soundtrack by Maestro Franco Piersanti (a total of seven compositions/tracks) which is easily navigated with your remote. 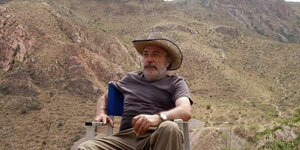 One of the greatest living Italian directors is treated with utmost respect by top-distrib RHV-Italia. Providing his debut feature with a remarkable transfer, a great set of extras, and the entire music soundtrack to the film as a bonus, all to the delight of English-speakers in an English-friendly presentation. Fabulous!! DVDTALK Collector Series!